Space constrain is a major problem for bakery manufacturers . You need space for raw material , packaging material and finished goods along with parts storage systems engineering goods and work shop floor . With limited space one can optimise by introducing racking storage in their factory or ware house . Racking system uses vertical spaces rather than horizontal span hence reducing the space requirement . Goods can be stacked on pallets and the same can be stored or kept on these racks reducing the loading and unloading time . Racking system can be designed keeping in the view the height and width of the available area and can be designed to store products stacked on pallets . we can design the racking cell keep the view the pallet dimensions . Racks are formed into rows and columns are calculated in basis of row x columns such as 6x4 , 8x4 etc depending on the space available . Another advantage is the dismantling and erection of these racks . These could be easily dismantled and erected in short time as these are made up with frames and use fastener for installation .So any expansion can be done without any major cost . Its highly suggested that bakery manufacturers to go for racking systems to optimise their space . Using Forklift the materials can be stored upto 4- 5 meter height . Racking storage solution is not only good for bakery, but also it is very helpful in warehouses, in any industry and in manufacturing companies as well as racking system are widely used in homes also. Racking storage unit provides better management of goods. 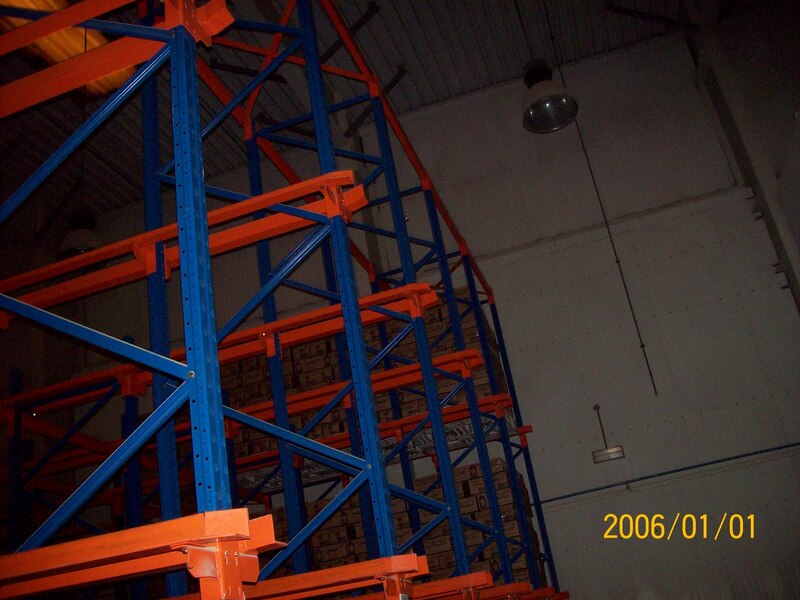 These pallet racks are used in warehouse racking, they are very useful for storage. It can be used for storing some unused stuff, it is a best management source. You can buy cheap and good quality warehouse racking online also.